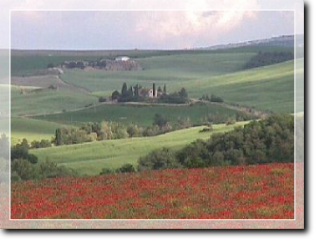 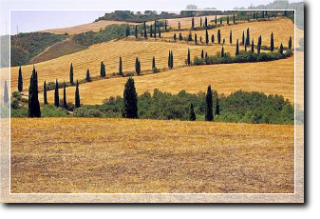 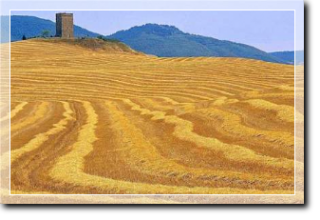 The Val d'Orcia is a wide valley in the Tuscan province of Siena, north east of Mount Amiata and close to the regional border with Lazio. 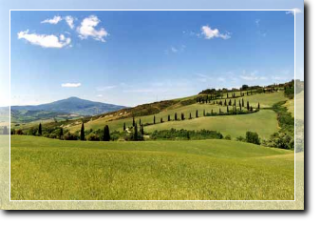 Named after the river Orcia which crosses it, it is characterised by pleasant country scenery and numerous medieval towns and villages. 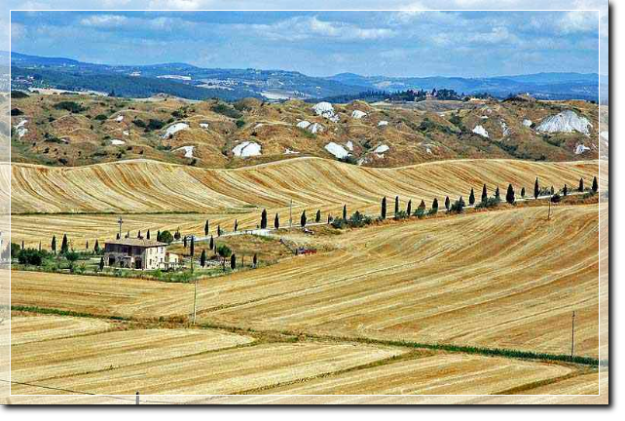 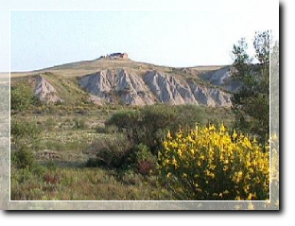 The valley is also an important natural, artistic and cultural park and was declared World Heritage by UNESCO on 2 July 2004 for the excellent state of preservation of the landscape which had noteworthy influence on Renaissance artists.